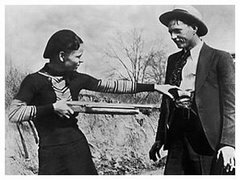 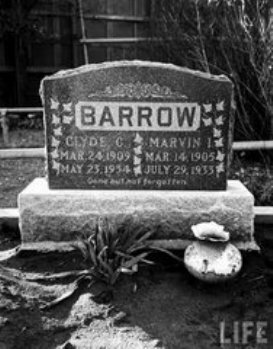 Bonnie Parker and Clyde Barrow collaborated on nationwide crime spree from 1932 until their deaths in 1934. 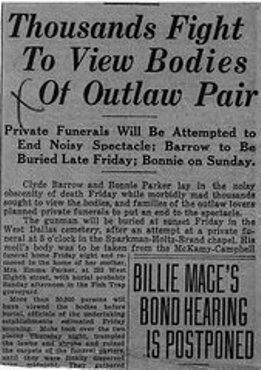 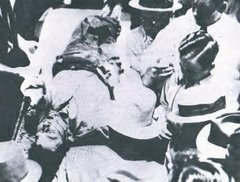 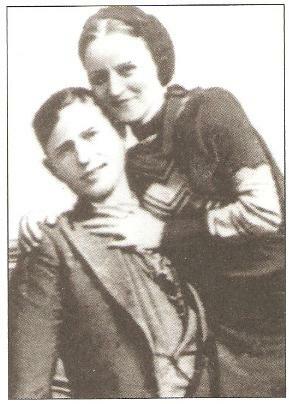 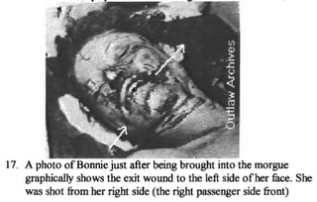 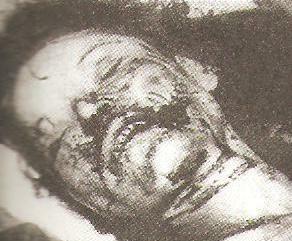 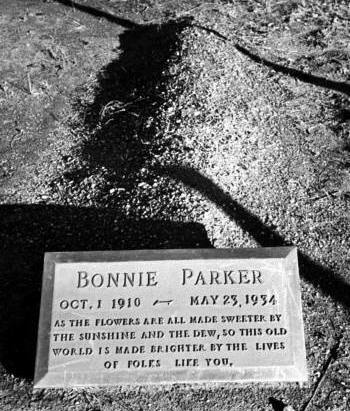 Bonnie met Clyde in West Dallas, Texas in January 1930 and the pair combined to commit thirteen murders, numerous kidnappings, and several burglaries and robberies. 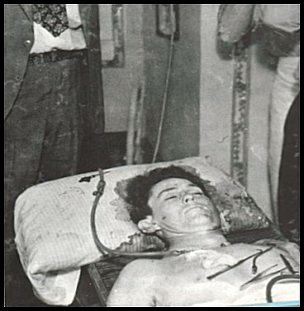 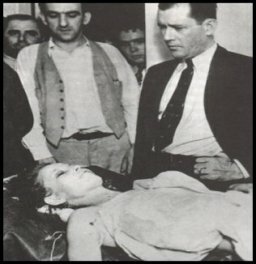 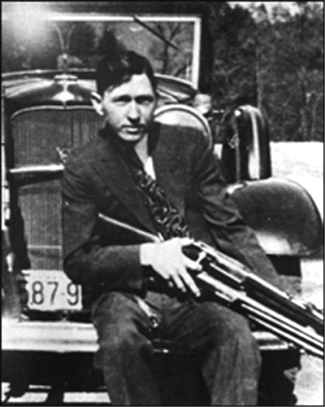 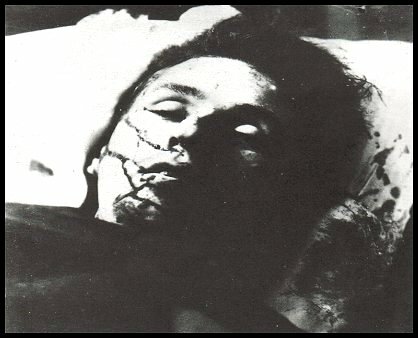 The FBI and many local law enforcement agencies engaged in one of the largest manhunts in United States history, looking for Bonnie and Clyde. 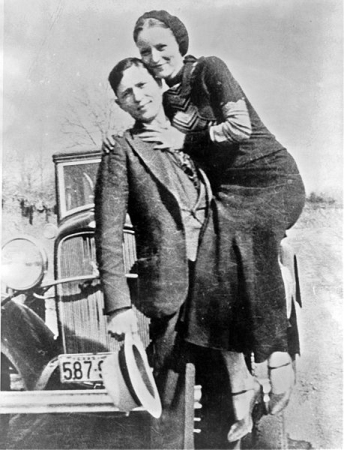 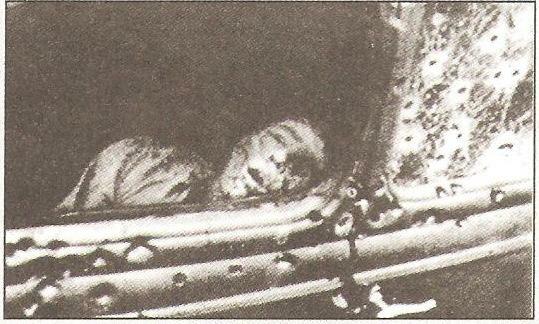 The car in which Bonnie and Clyde were killed was a 1934 Ford V8. 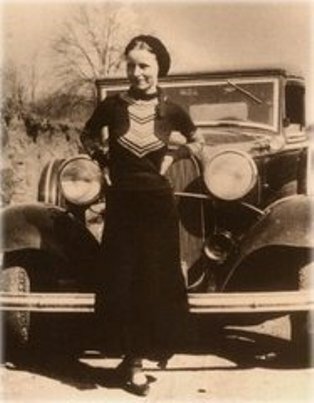 The car was stolen from the driveway of Jesse and Ruth Warren in Topeka, Kansas. 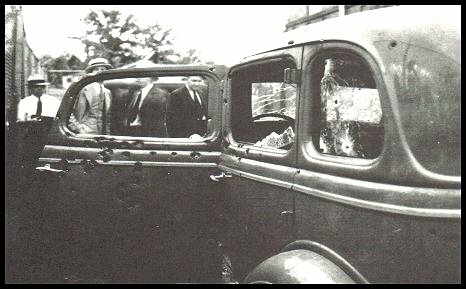 After the shoot out, the Ford V8 was returned to the Warrens. 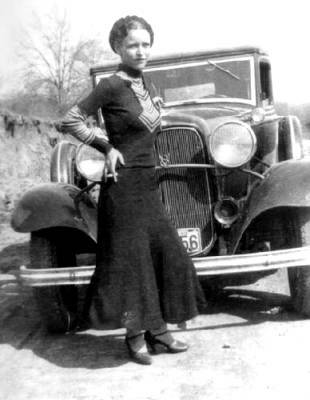 Later the car was sold for $3,000 and exhibited at state fairs and carnivals. 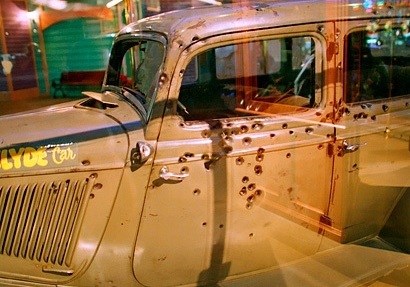 Eventually the death car was obtained for $250,000 by the Primm Valley Resort and Casino. 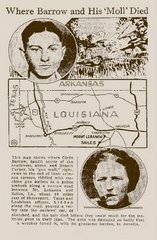 Their crime spree included several bank robberies at the height of the Great Depression. 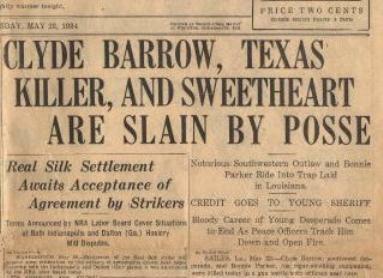 Banks were extremely unpopular in that era because of frequent foreclosures and bank failures.